…from Hunter S. Thompson’s Fear and Loathing in Las Vegas. 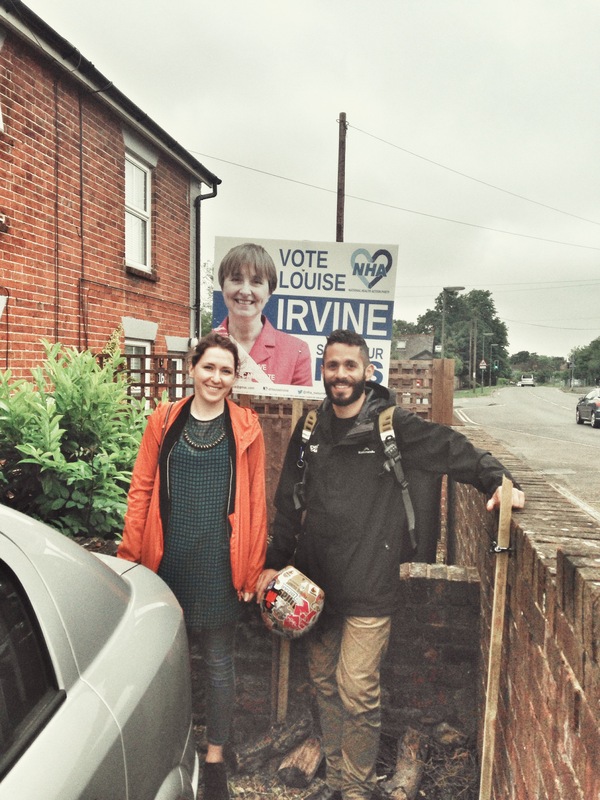 Two volunteers came from London to canvass for Louise Irvine and they spend four hours knocking on doors. They were well received by almost every house they visited. A physician from Somerset — campaigning for Dr. Irvine. It speaks volumes when you have doctors and nurses turning up from far and wide to try and unseat our current Health Secretary and MP, Jeremy Hunt. They are desperate for change and for a fully functioning NHS, which is being deliberately cut to the bone by the current Tory government so that they can sell it off to corporate interests. 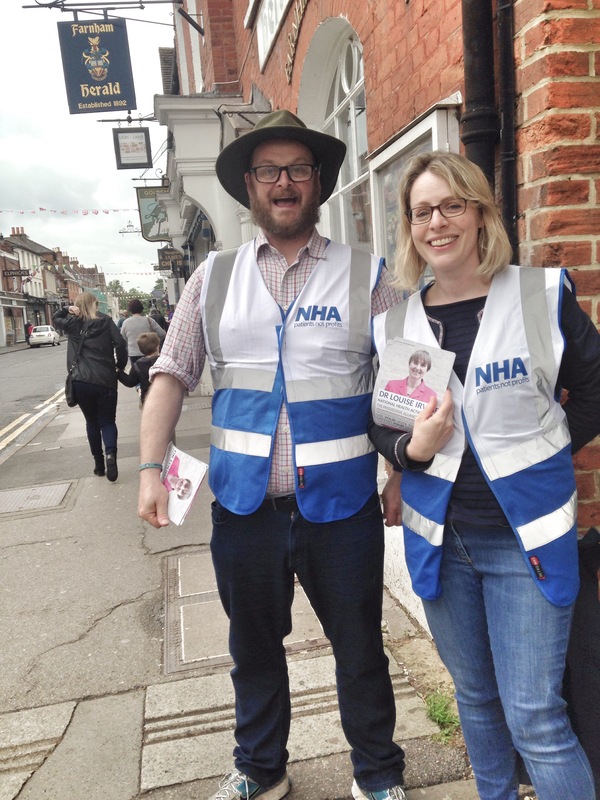 Lib Dems, Labour, and Greens are all crossing party lines to campaign and vote for the National Health Action Party. 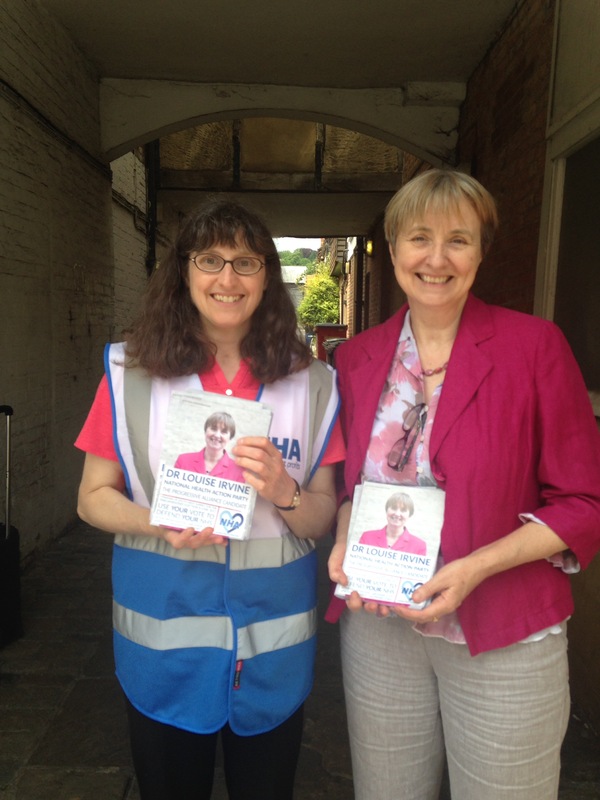 They are voting tactically because they have chosen her as the best candidate to represent them in SW Surrey. We are battling here because SW Surrey is hugely conservative. One may think that we are discouraged. We bought the ticket and we’re taking the ride. Every day. I remember hearing the word, “Tory” in relation to our American History. So I Googled it. The Loyalists were American colonists who remained loyal to the British Crown during the American Revolutionary War. At the time they were often called Tories, Royalists, or King’s Men; Patriots called them “persons inimical to the liberties of America”. Then I looked up the origins of the word, Tory.